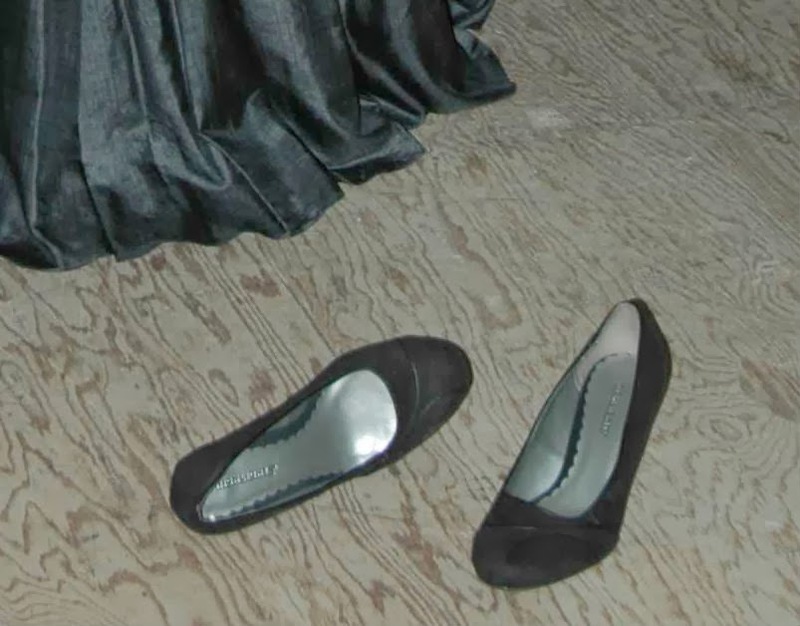 I was doing some more research online for the Packing Gown and found a picture with her shoes! 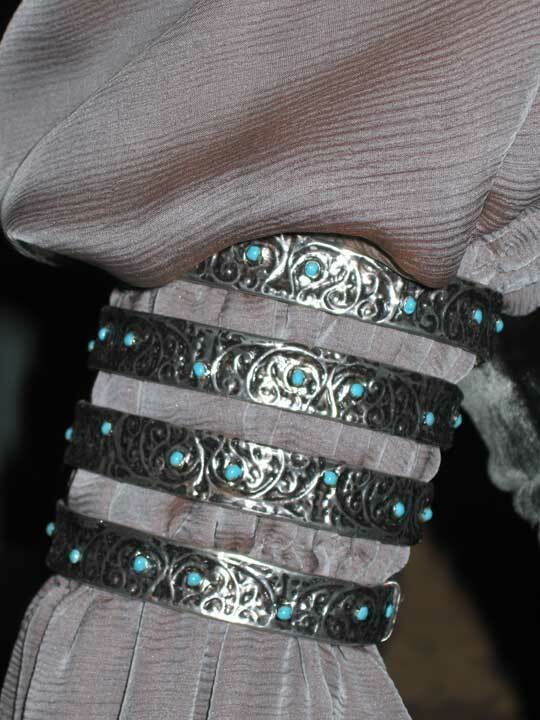 This is really exciting because it's rare to find pictures of any of Padme's shoes. This is from the behind the scene pictures from when Rose Byrne wore the costume during the Rose Parade. I've found these pictures very, very helpful since you can see more of what's under the dress. I found these photo's Via the Padawan's Guide. Ah, the headpieces. I'm looking into having them custom made for me because I have absolutely no idea on how I could make these. Here's a few reference photo's for the headpieces. I have found a few that other people have made that are pretty good. From the lady who made this, "As for the headpiece, I used Model Magic (love love love!) 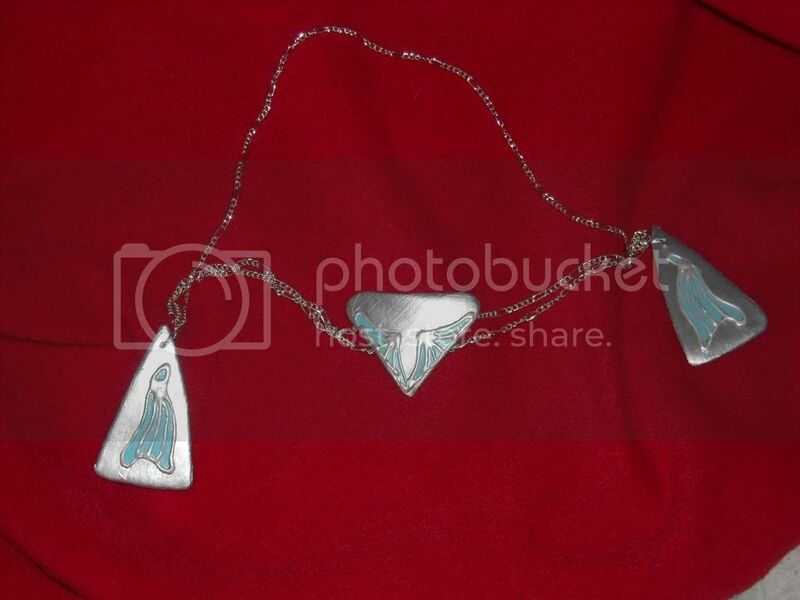 and puff paint and glued the three pieces to a simple jewelry chain." Here's another one. This one has a tutorial. And the armbands, like the headpieces, I have no idea on how I'm going to make them. This is one of the best one's I've seen. I might end up doing something like this in the end. But I would really like to get something that looks a little more like metal. 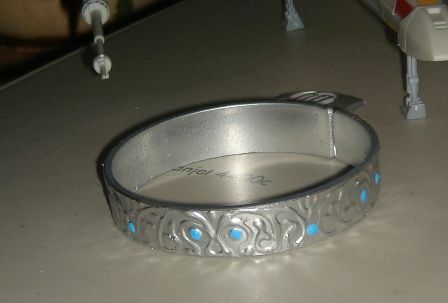 From the lady who made this, "First of all, it's not metal, it's plastic! As a result - a wonderful light weight and neat fitting. For the base I used an ordinary plastic cup for cold food. I cut the top of it with a metal-working saw (the plastic is rather thick, 3 mm), polished the cut with 2 different sandpapers, fused the edges. I put on the design with a 3D paint. Then, I painted the whole thing with an aerosol enamel. After drying I added the 'stones' with acrylic paint." Then comes the hair which, believe it or not, is one of the most simple pieces of the costume. At least I'm hoping it will be. I've found a really good tutorial on how to do it and it sounds pretty simple, but anything could happen. 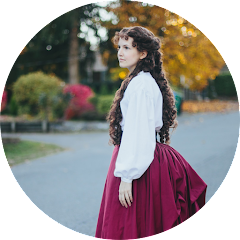 Here's some pictures of her hair from the film. The hair is divided into three sections, two large sections on the sides, and one relatively small section in the back. 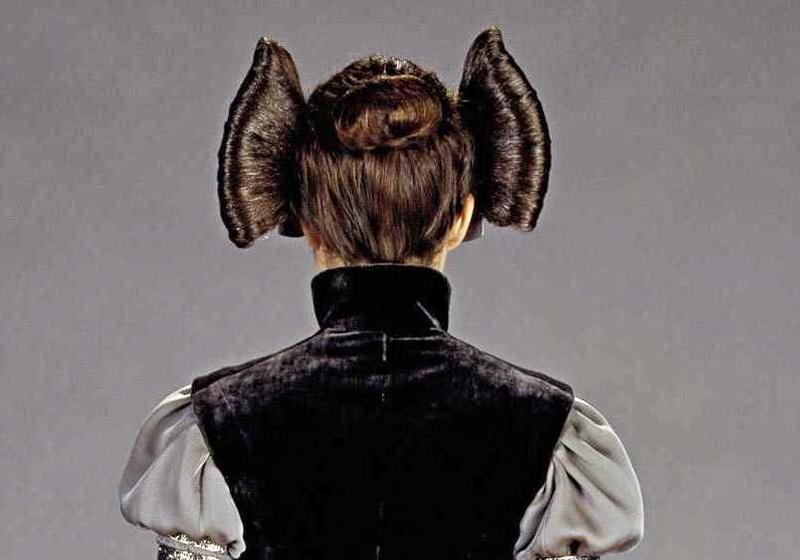 The side pieces are triangular and the back part is made into a small chestnut bun on the crown of her head. 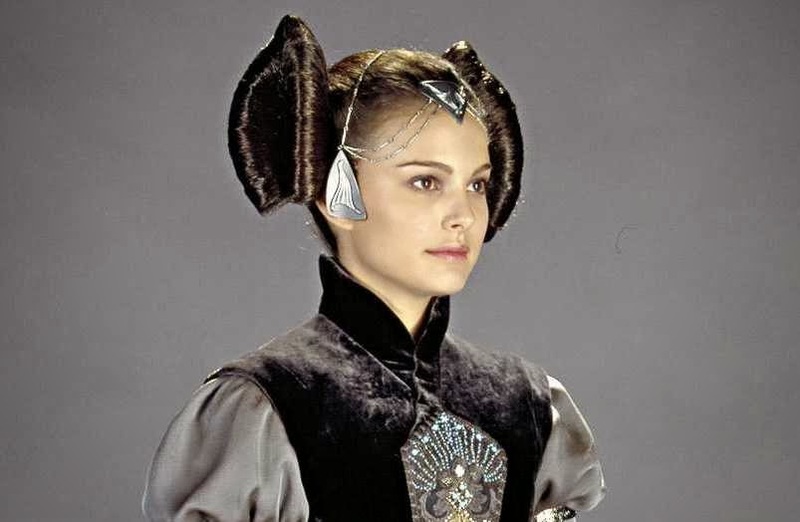 This is one of my favorite Padme Packing Gown costumes I've seen. 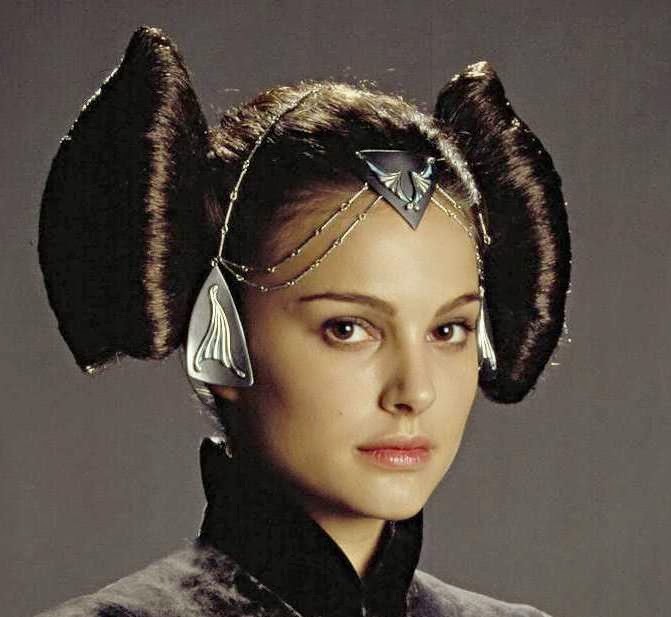 They wrote up a post on the Rebel Legion forums about how they did the hair. The pictures pretty much explain it all. This tutorial makes doing her hair seem so simple. And that's about it for the accessories.